Free Marvelous Designer lace texture with opacity map! 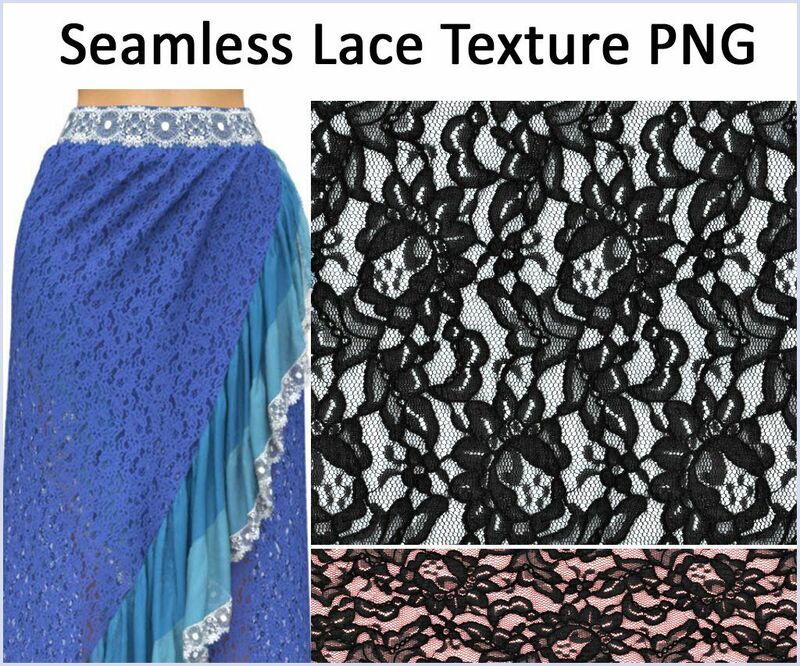 Download our seamless lace fabric texture and use it for any Marvelous Designer clothes or other 3D clothes. You can use this texture for personal and commercial Marvelous Designer clothing projects. Our lace texture looks exactly like real lace materials since it was made from an image of a lace fabric and not machine-generated. Experiment scaling this texture up and down for different fabric weave effects. It can look quite interesting on clothes at a very low scale. You can use our seamless lace texture as an opacity map or as both a diffuse map and an opacity map. 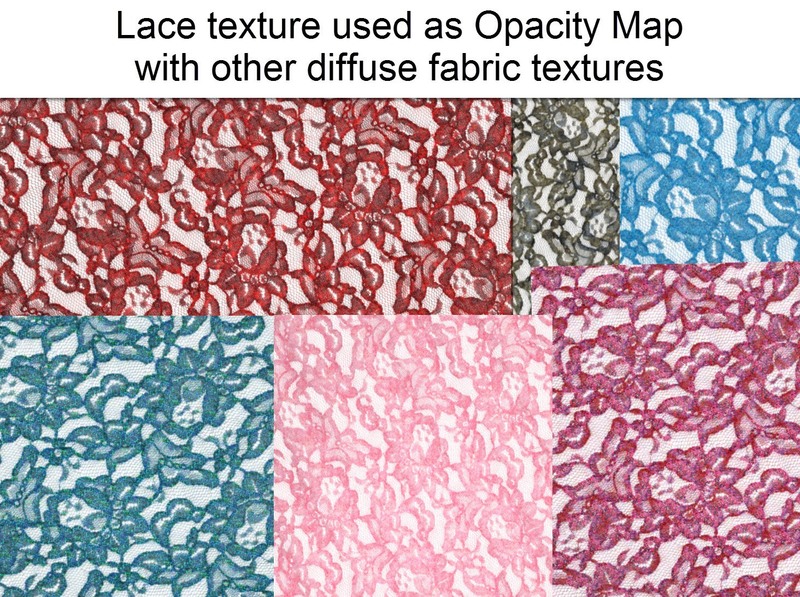 So even though our Marvelous Designer lace texture is black, if you want to create for instance a skirt with pink lace fabric, all you need to do is use the texture as an opacity map (to create the transparent lace effect) over a pink diffuse color or texture. You can either apply this seamless lace texture to your clothes in Marvelous Designer or apply it later when rendering the 3D clothes out in another program. Don’t know how to import and use this tiling lace texture in Marvelous Designer? Watch our free Marvelous Designer texturing tutorial here. Go here for a tutorial on how to render lace textures in Octane standalone. 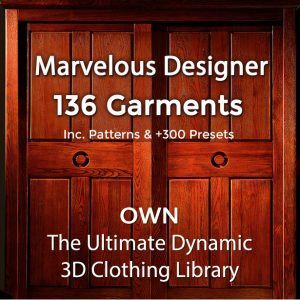 Click here to download the free Marvelous lace texture for your 3D clothes. Below are instructions how to change the color and opacity of this black lace texture in Marvelous Designer (and an example of turning the black lace texture into a red lace texture). To change this texture’s color in Marvelous, first click the “Desaturate” button in the Fabric Editor and then select the color you want the texture to be. That’s it! You can play around with the desaturation levels and also change overall fabric opacity, specularity settings, and auto-generate a normal map if you want. If you don’t desaturate the texture but just add a color over it, it will tint it slightly (give it a reddish glow in the semi-transparent and light areas). We hope you enjoy using this Marvelous lace texture! Feel free to share your artwork on our CG Elves Facebook fanpage (we might feature it!). Need more Marvelous Designer textures? Get more free fabric textures here. 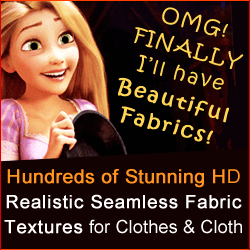 Get a HUGE library of 300+ seamless fabric textures and lace trims here. Just wanted to thank you for all the work that has been put up on your site and youtube channel! I’ve learnt a lot and really appreciate everything that you’ve been doing. Keep it up and wish you all the success in the world! :) Aww thank you so much for the lovely comment and kind wishes! Made my day. We wish you all the best success too! First I want to say great job on all the tutorials, I always learn so much. I think the freebies are a great thing too. Question, do paid members have to purchase the $99 packs or is that included in membership. do you have textures like the different types of mesh for sports jerseys? Thanks and glad you are enjoying our Mastering Marvelous Designer training and our freebies. Membership enables access to the Training Area. This is a separate product than other products we sell, such as Seamless Fabric textures, Marvelous Designer garment file library etc. As we show in the video (on Seamless Texture Library page), scaling down our textures can result in endless mesh/texture effects for sportswear and polyester clothing or fabrics. Would love to see your work – feel free to share it on our FB page.